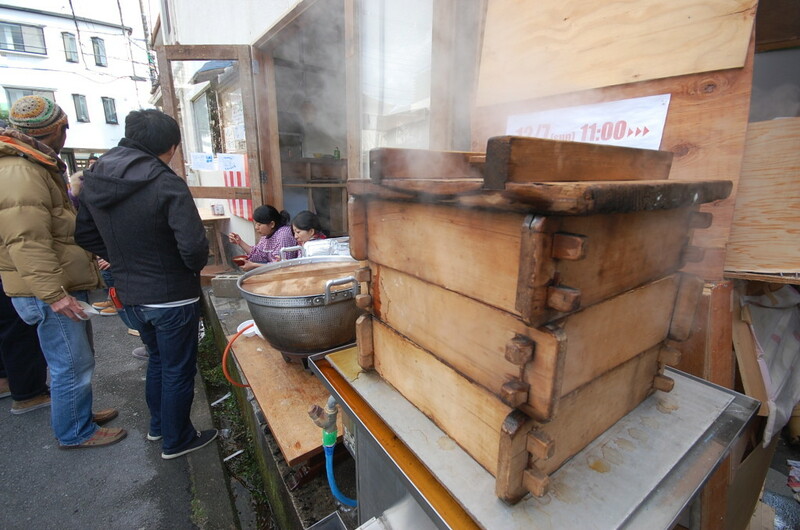 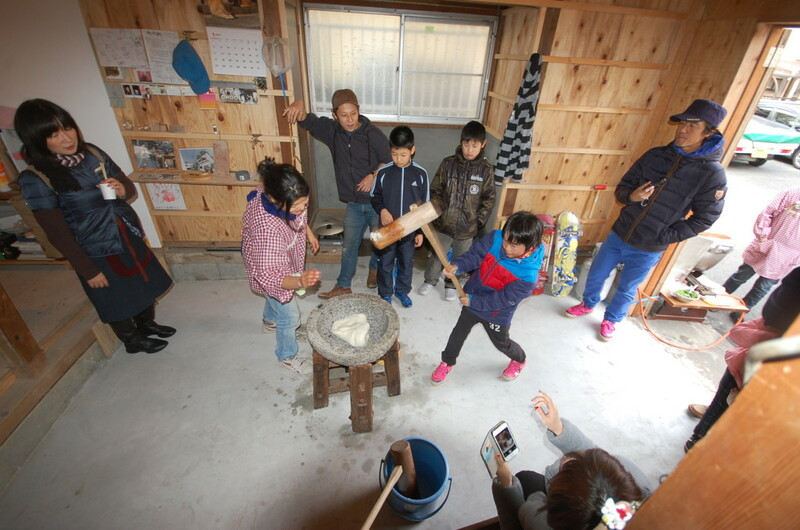 On this day we kept pounding Mochi and served Butajiru* and Zenzai* to visitors. 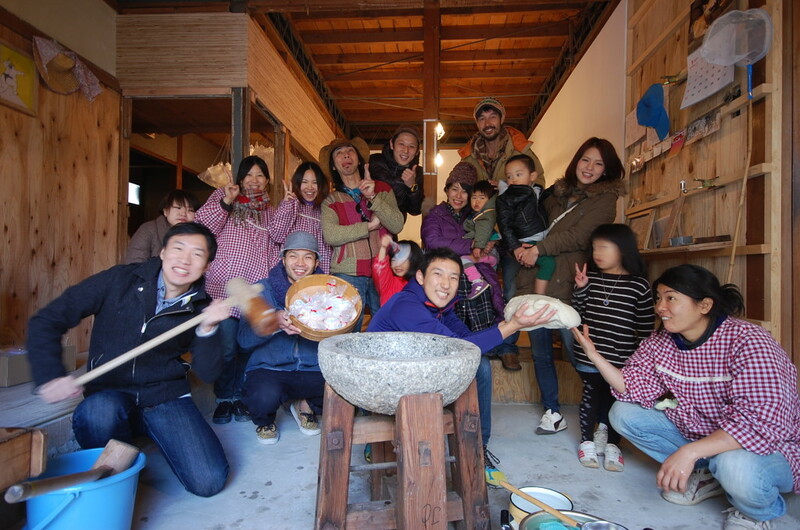 Also we made Mochi parachutes to throw them from roof terrace of Maedabunka. 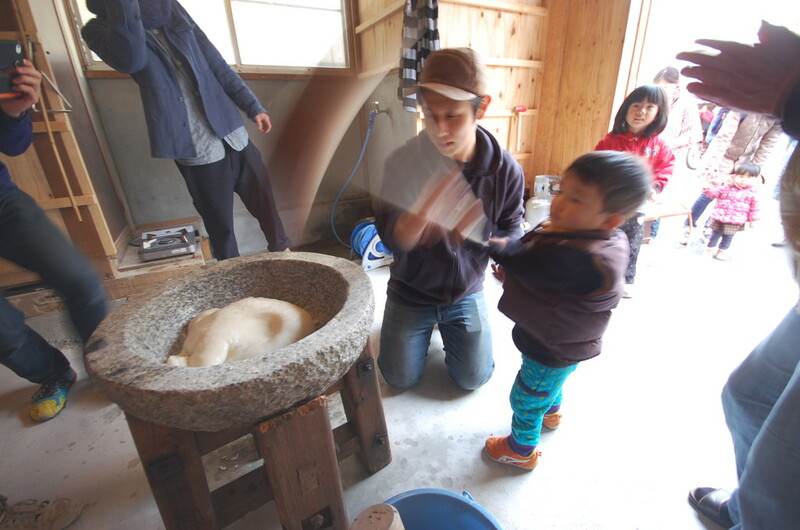 About 10 months has been passed since we started constructions, this day was the first day to interact with neighbors. 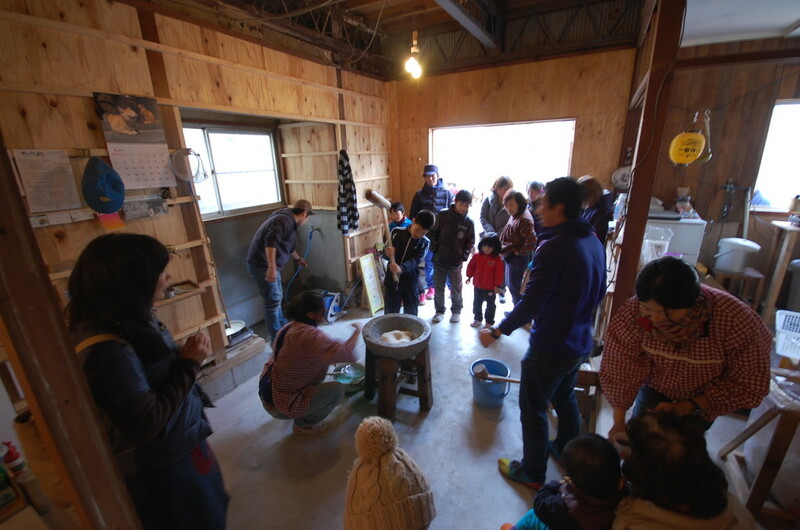 So many people came to visit few days later we received first letter of complaints.